Your message has been sent to Asbestos Watch Melbourne . Like authorSTREAM? Give us a +1! We are a company in Australia, and this is our official page. We share anthing related to the asbestos material removal services; removal, testing, roof replacement, management plan and many other related services. This account will share anything about asbestos publication. 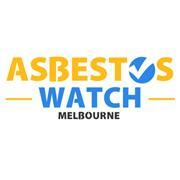 Asbestos Watch Melbourne endorse professional contractors in the greater Melbourne region. Our approved contractors work for all types of buildings. Residential, commercial, or government properties. Asbestos Watch Melbourne's Podcasts ..